We manufacture and supply Barware & Bar Accessories such as cocktail shaker, ice bucket, wine bucket, bar tray , peg measure etc. Our range adds elegance to your bar. Bar Tray is the most essential accessory now a days. Our range of trays comes with shallow flat bottom and a raised rim, used for holding and carrying beverages (usually alcoholic). 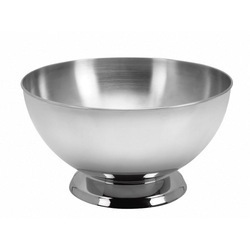 Our range of Champagne Bowls is made available to the clients in varied designs, finishes, grades and other specifications. These bowls can also be customized as per the exact details provided by the clients, which helps us in their maximum level of customer satisfaction. Moreover, we check that our customers get a range of perfect champagne bowls from us, thus, we check its quality on certain well-defined standards. 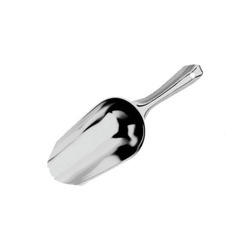 We are reckoned as trusted manufacturers of premium assortment of Barware & Bar Accessories such as Stainless Steel Ice Scoop that is made from the finest grades of stainless steel alloys that are procured from authorized vendors of the domain. 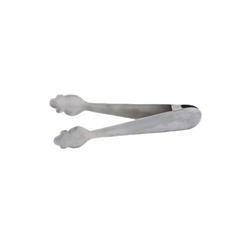 These are having easy to hold handle and offer strength to weight advantage. We follow rigid norms of quality at every stage of manufacturing and offer these at leading rates to our clients. 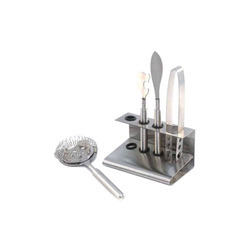 Our vast domain experience of manufacturing and supplying an impressive gamut of Barware and Bar Accessories has empowered us to offer Stainless Steel 5pc Bar Tool Set to our patrons. We use cutting edge technologies to manufacture these from the best grades of stainless steel alloys. These have designed aesthetically by our adept designers and offer a comprehensive tool set with an elegant stand exclusively crafted for ease of use. 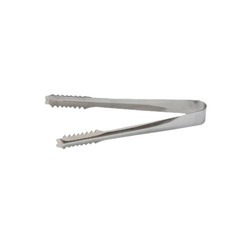 We are reckoned as one of the reputed manufacturers and suppliers of an amazing spectrum of Barware and Bar Accessories that includes Stainless Steel Opener. It is having flawless finish and seamless functionality for effortlessly opening different types of bottles. These are made from the highest grades of stainless steel for flawless finish and outstanding durability. Our clients can avail these in different shapes according to requirements at reasonable prices. We are engaged in manufacturing and supplying a wide assortment of Barware and Bar Accessories including Stainless Steel Speed Rail (Double). 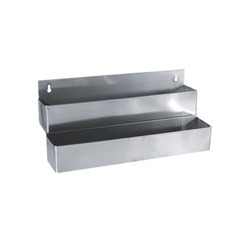 It is widely used in bars for easy access to liquor bottles and has a large storage capacity. It is highly appreciated since it saves time and offers a professional look to the bar. 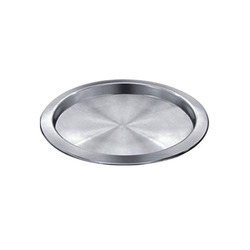 It is diligently designed and made by using premium stainless steel material. Our valued patrons can avail these at very reasonable rates. 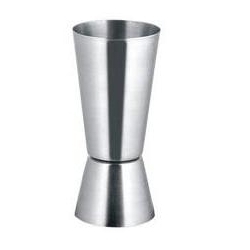 We are engaged in manufacturing and supplying a wide assortment of Barware and Bar Accessories including an elegantly designed Stainless Steel Cocktail Strainer. It is made from high grade stainless steel for impeccable finish and durability. 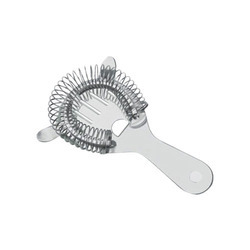 It is extensively used for pouring cocktails of flawless quality by separating fluid from the ice. We maintain stringent quality norms in accordance with international standards while manufacturing these and offer at competitive rates to our patrons. We are prominent manufacturers and suppliers of an amazing gamut of Barware and Bar Accessories such as Stainless Steel Bar Tray that is elegant and durable. It has a lustrous surface and designed to hold glassware with safety while carrying around. We use cutting edge technologies to manufacture these under rigid norms of quality by adhering to well defined protocols of the industry. These are highly appreciated for strength to weight advantage and can be availed at reasonable prices. Leveraging on our in-depth technological expertise of manufacturing and supplying a wide assortment of Barware and Bar Accessories we offer Stainless Steel Speed Rail (Single) to our esteemed clients. 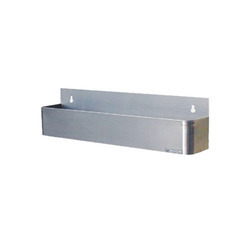 It is extensively used for quick access to liquor bottles and has a optimum storage capacity. It is highly acclaimed since it facilitates quick service and offers a professional look to the bar. It is meticulously designed and made by using high grade stainless steel material. Our valued customers can avail these at leading industry rates. We are renowned as trusted manufacturers of supreme quality SS Peg Measure / SS Pourer from our huge gamut of Barware and Bar Accessories. 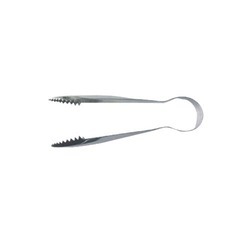 These are designed for precise measurement of pegs while serving liquor and are made from the highest grades of stainless steel and other components. These are highly appreciated for superior finish and graceful look. Our pourers are compatible with different bottles and offer seamless performance. Our patrons can avail these at reasonable prices. 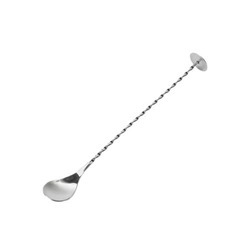 Our immense industry experience and in depth technological knowledge of manufacturing and supplying a large gamut of Barware and Bar Accessories has enabled us to offer Stainless Steel Cocktail Spoon. It is designed for easy and homogeneous mixing of liquor and other mock-tails. 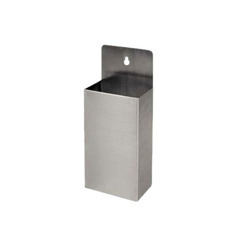 These are easy to use and area offered long handles to cover large vessels or jugs. We use the highest grades of stainless steel alloys for better hygiene and longer life. 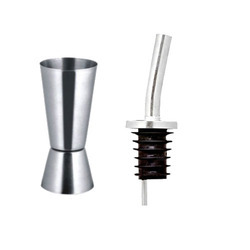 Leveraging on our vast industry experience of manufacturing and supplying premium assortment of Barware and Bar Accessories we are presenting Stainless Steel Cap Catcher that is used widely for collecting bottle caps and helps maintain surroundings neat and clean. It has an excellent finish that enhances professional ambience of the bar and is designed to be mounted easily on any given surface. We maintain stringent standards of quality and offer these at leading industry prices to our clients. We are engaged in offering an exclusive range of Peg Measures to the esteemed customers. These products are extensively used for measuring alcoholic spirits in the most convenient manner. Moreover, these products are perfect for making cocktails by mixing two or more alcoholic drinks together. 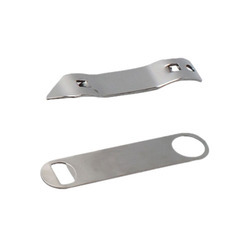 The entire range of Peg is widely used at bars and other such places or at parties. 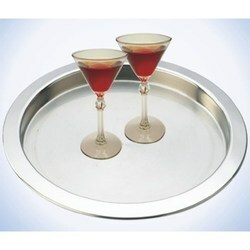 Looking for Barware & Bar Accessories ?